William Lane Craig rightfully points out that Catholic scholar, St. Augustine of Hippo who lived from 354-430, articulated that creation wasn’t necessarily 6000 years ago. Neither did Augustine required special creation with God “poofing” Adam into existence. This flexible conception of creation arose well before Science revealed the age of the earth and universe. Without intervention by God, Craig argues life wouldn’t have arisen. Life simply would have been so improbable the Earth would have first been swallowed up by our dying Sun before life would have had a chance to develop. Latter-day Saints don’t believe in creation ex nihilo. We believe in eternal matter and eternal spirits. We believe God is the father of our spirits. When men developed from their ancestors, at this point God may have given the first humans their spirits. We simply don’t know how God was involved. We welcome findings of scientists that demonstrate what occurred. But we should all recognize there are limits to what Science can tell us. We don’t need to adopt Scientism. Instead, we should marry the best of Science and our faith. Major issues: unassailable Greek astronomy, politics within the church and Italian academics, inability to measure stellar parallax, flawed interpretations of scripture (Joshua 10:12: stand still O sun; Psalm 93:1: thou hast fixed the earth, immovable and firm), recent outburst of the Reformation, and more. Galileo had strong suspicions the Sun was the center, but couldn’t prove it. This wasn’t Science vs. Religion, but Heretic vs. Orthodoxy. Explanation of early Greek astronomy here. Copernicus was a smart fellow. But his ideas needed lots of work to refine. The complete adoption of his theory didn’t occur for a few centuries, however. 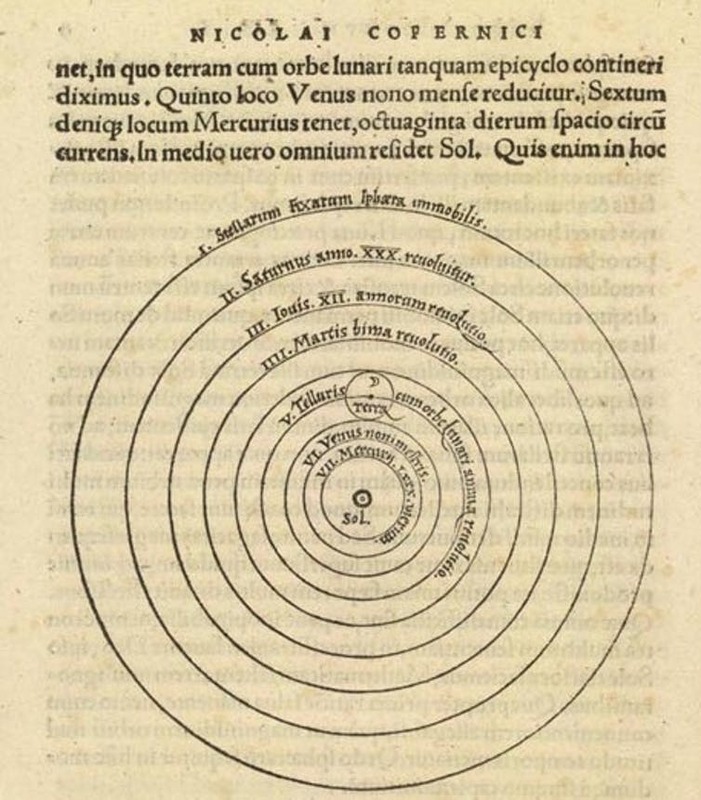 “Nicolaus Copernicus dedicated his most famous work, On the Revolution of the Celestial Orbs, in which he gave an excellent account of heliocentricism, to Pope Paul III. “Anti-Catholics often cite the Galileo case as an example of the Church refusing to abandon outdated or incorrect teaching, and clinging to a “tradition.” They fail to realize that the judges who presided over Galileo’s case were not the only people who held to a geocentric view of the universe. It was the received view among scientists at the time. Image below is from his own writings. Sol means sun. If heliocentrism were true, then there would be observable parallax shifts in the stars’ positions as the earth moved in its orbit around the sun. “However, given the technology of Galileo’s time, no such shifts in their positions could be observed. It would require more sensitive measuring equipment than was available in Galileo’s day to document the existence of these shifts, given the stars’ great distance. “Stellar parallax is so small (as to be unobservable until the 19th century) that its apparent absence was used as a scientific argument against heliocentrism during the modern age. 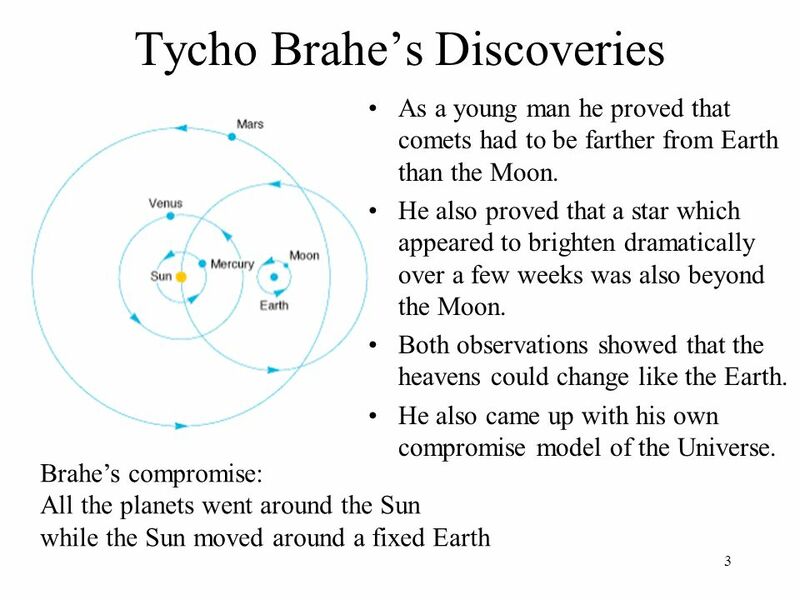 It is clear from Euclid‘s geometry that the effect would be undetectable if the stars were far enough away, but for various reasons such gigantic distances involved seemed entirely implausible: it was one of Tycho Brahe‘s principal objections to Copernican heliocentrism that in order for it to be compatible with the lack of observable stellar parallax, there would have to be an enormous and unlikely void between the orbit of Saturn and the eighth sphere (the fixed stars). Thus Galileo did not prove the theory by the Aristotelian standards of science in his day. In his Letter to the Grand Duchess Christina and other documents, Galileo claimed that the Copernican theory had the “sensible demonstrations” needed according to Aristotelian science, but most knew that such demonstrations were not yet forthcoming. 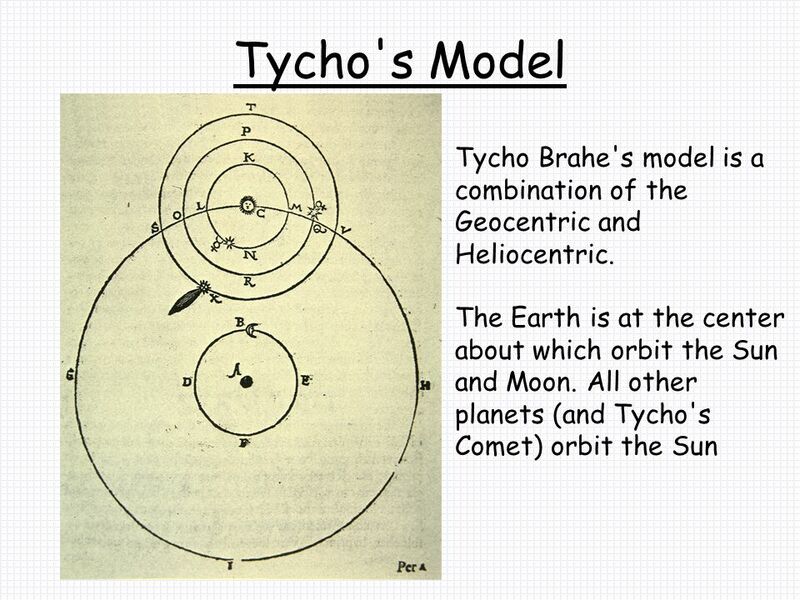 Kepler was an assistant to Brahe, and by studying Brahe’s calculations, made improvements to the solar model. Kepler was a German Protestant, and was disappointed his fellow Protestants resisted his work. Along came Galileo around the time of Kepler. Galileo’s greatest contributions arose from his much-improved telescope. 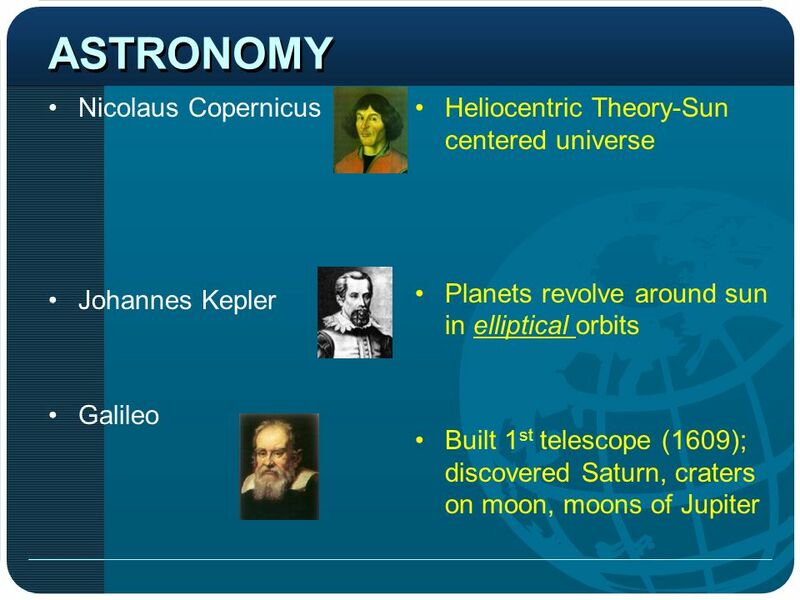 This slide below highlights challenges Galileo faced. Later videos will show that Galileo’s approach didn’t always help his relationship with the Church. He was brash, outspoken, and lacked tact. Also not mentioned in this slide is this fact: the best parts of his theory — presented as fact when all the evidence wasn’t in — weren’t produced till his years under house arrest (long after his 2 trials). This article — The Galileo Controversy — written by Catholic defenders, explains the Galileo controversy from their perspective. “Galileo could have safely proposed heliocentricism as a theory or a method to more simply account for the planets’ motions. His problem arose when he stopped proposing it as a scientific theory and began proclaiming it as truth, though there was no conclusive proof of it at the time. Even so, Galileo would not have been in so much trouble if he had chosen to stay within the realm of science and out of the realm of theology. But, despite his friends’ warnings, he insisted on moving the debate onto theological grounds. In 1614, Galileo felt compelled to answer the charge that this “new science” was contrary to certain Scripture passages. His opponents pointed to Bible passages with statements like, “And the sun stood still, and the moon stayed . . .” (Josh. 10:13). This is not an isolated occurrence. Psalms 93 and 104 and Ecclesiastes 1:5 also speak of celestial motion and terrestrial stability. During this period, personal interpretation of Scripture was a sensitive subject. In the early 1600s, the Church had just been through the Reformation experience, and one of the chief quarrels with Protestants was over individual interpretation of the Bible. The process to determine the sun was the center took many steps and generations of scientists to understand. A Greek interpretation of scripture (see model above) was understood to mean the earth never moved. Among other things, this video points out that we actually don’t revolve around the sun. Instead, we revolve around the center of mass of the solar system. The more complete picture — and we’re still learning all the time — took long after Galileo to see. The Catholic Church didn’t accept the sun as center till 1758. When Newton fully demonstrated this mathematically. Galileo was extremely prolific. His contributions to Science were enormous! In additional to other expected details, this video explains that Galileo was brash and aggressive. Galileo could have been more diplomatic and tactful. The Pope requested before Galileo publish his findings, Galileo allow the Pope to contribute to the publication. Galileo, instead, mocked what the Pope’s position was (earth at center). This scholar shows that Galileo lacked evidence, according to other scientists of his own time. Parallax and other arguments (earth didn’t appear to be flying through space) were against him. He also mentions that Copernicus’ claims — 50 years before Galileo — wasn’t controversial. But, by the time of Galileo, the Reformation had erupted. The Church was worried about people interpreting scripture for himself. This below video shares that scientists were divided in Galileo’s day. Galileo himself didn’t have sufficient evidence to fully convince others and Church leaders. Among some of Galileo’s bad ideas (of course, he had many good ones) was that the waves of the ocean were caused by the Earth’s rotation. Galileo presented his research in Italian, not Latin. That offended many. 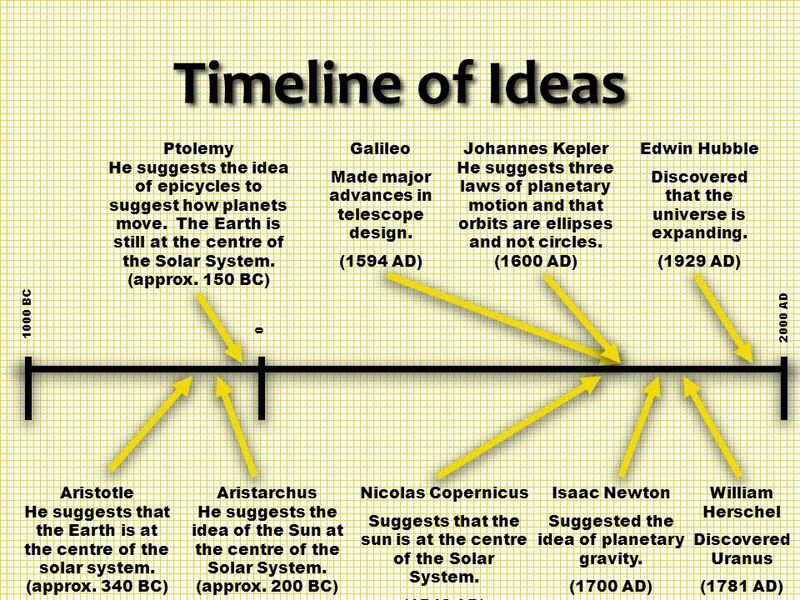 Galileo mocked the Ptolemaic system (earth-centered) crowd of clergy and opposing scientists. Galileo attacked fellow scientists, the clergy, and the Pope, despite not having sufficient evidence to prove his theory. 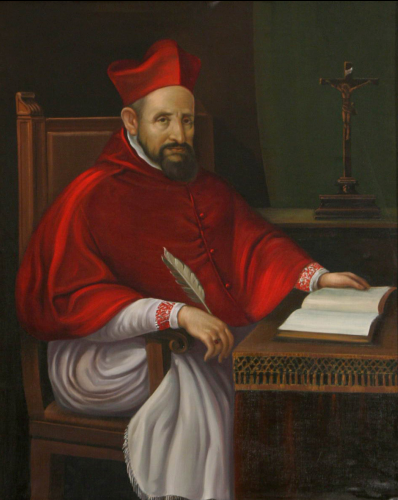 This video quotes a Catholic leader, Bishop Robert Bellarmine, who said that if evidence was presented the Church would change its interpretation. But Galileo’s thesis lacked sufficient evidence. He was teaching as fact what he couldn’t prove as fact. “The Council [of Trent] prohibits interpreting Scripture against the common consensus of the Holy Fathers; and if Your Paternity wants to read not only the Holy Fathers, but also the modern commentaries on Genesis, the Psalms, Ecclesiastes, and Joshua, you will find all agreeing in the literal interpretation that the sun is in heaven and turns around the earth with great speed, and that the earth is very far from heaven and sits motionless at the center of the world. I say that if there were a true demonstration that the sun is at the center of the world and the earth in the third heaven, and that the sun does not circle the earth but the earth circles the sun, then one would have to proceed with great care in explaining the Scriptures that appear contrary, and say rather that we do not understand them, than that what is demonstrated is false. But I will not believe that there is such a demonstration, until it is shown me. Nor is it the same to demonstrate that by supposing the sun to be at the center and the earth in heaven one can save the appearances, and to demonstrate that in truth the sun is at the center and the earth in heaven; for I believe the first demonstration may be available, but I have very great doubts about the second, and in case of doubt one must not abandon the Holy Scripture as interpreted by the Holy Fathers. Further, Galielo had agreed a decade earlier to not teach his theory as fact. Finally, most of Galileo’s work that we celebrate today took place while he was in house arrest. Early Christian leaders found ways to absorb Greek philosophy and teachings into the scriptures. Just as they did with other concepts, such as ex nihilo creation and God’s characteristics: outside of space and time, immutable (not changing), impassible (no feeling or emotion), etc. So, the same way the Trinity evolved from Greek philosophy, so did a earth-centered view of the Universe. “Aristotle (384-322 B.C.) believed the universe is finite and spherical with a stationary Earth at its center. Enclosing the whole universe is the sphere of the Prime Motion turned by the First Unmoved Mover. Inside that were transparent spheres containing fixed and unchanging stars, planets, moon and sun. Aristotle was also a renowned philosopher. Clement and Origen (185-254 A.D.), both of Alexandria, sought to reconcile Greek wisdom (Aristotle’s thoughts in philosophy and sciences) with scriptural wisdom. Origen imagined separate literal, moral, and spiritual senses of Bible passages (expanded to five senses in Concordism today). Van Bebber says, “This allegorical interpretation gave birth to a new brand of Christianity. Augustine (354-430 A.D.), although not as extreme as Clement or Origen, accepted this new approach. Through Augustine the mixing of philosophy, culture, and theology became inter-twined. And, since Catholic theology recognizes the traditions of the Church as equal in authority with written scripture, changing this trend became impossible. Eventually, the roots planted in Augustine took full bloom in Thomas Aquinas” (1224-1274 A.D.). The Renaissance Period (1300-1600 A.D.), the rebirth of Greek philosophy, reinforced Aristotle’s philosophy and science, already embedded in Roman Catholic theology and tradition. The most serious scientific error was acceptance of an Earth-centered cosmos. But this error fit well in the man-centered theme of the Renaissance. Nicholas Copernicus (1473-1543 A.D.) was a Renaissance man educated in the classics, law, theology, mathematics, metaphysics, languages, and astronomy. Copernicus developed a cosmology with the sun at the center, the Earth rotating about a polar axis, and the Earth and planets circling the sun, essentially as we know it today. Galileo Galilei (1564-1642 A.D.) received a broad Renaissance education. Until 1610, when Galileo built his first telescope at age 46, he focused mainly on physics, not astronomy. He soon made discoveries which shook the foundations of the Aristotelian cosmos. “The primary problem, as introduced earlier, was that Aristotle’s science was going out of style; but the church was still attached to him. It could not make a distinction between Aristotle and Christian teachings; and in that era, there was no distinguishment or separation of science from philosophy. For the Church, if Aristotle was wrong, Christianity was wrong. 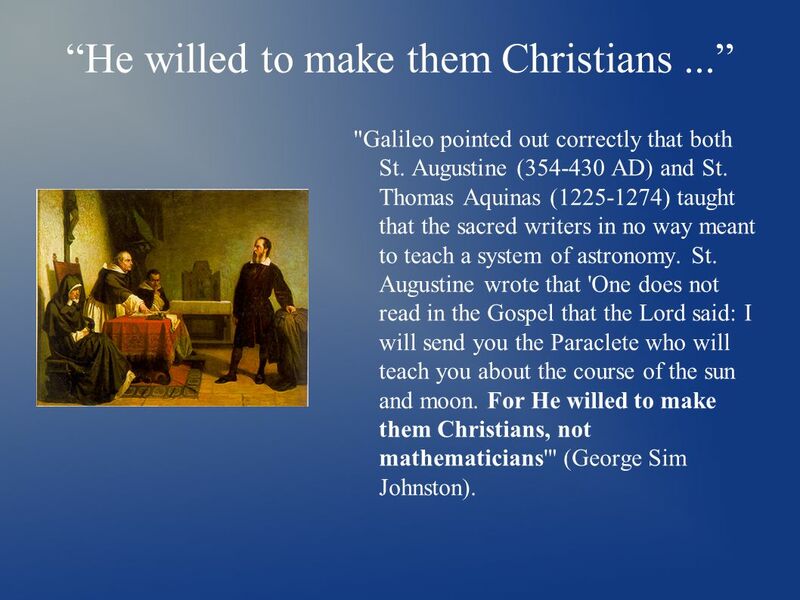 Galileo believed in the Roman Church. However, he thought their interpretation of scripture must be wrong. He knew what he saw in the heavens. He cited Copernicus in the same vein: “He [Copernicus] did not ignore the Bible, but he knew very well that if his doctrine were proved, then it could not contradict the Scripture when they were rightly understood”. He quotes Augustine relating true reason to Scriptural truth. The Church had no problem with these solid orthodox views. Galileo was a man of faith as well as science. 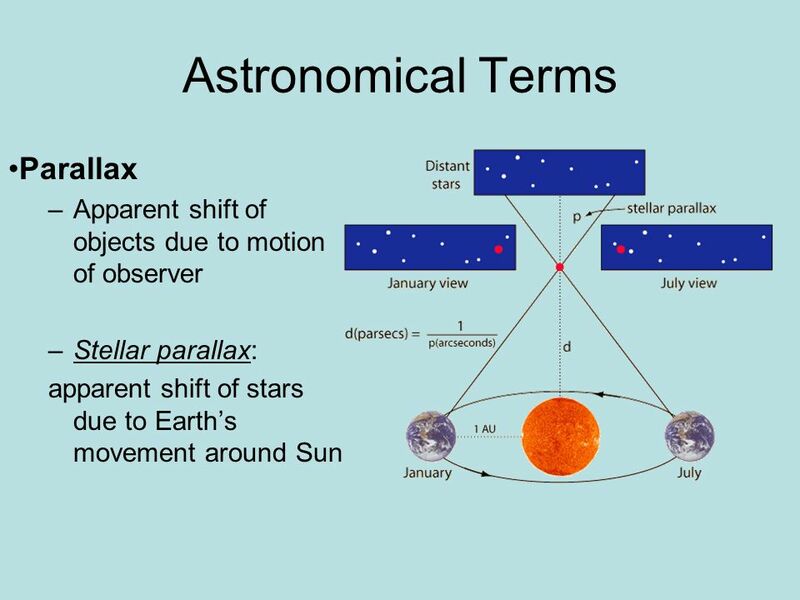 Another issue mentioned earlier relates to stellar parallax. Galileo got some of the Science right. But was incapable, due to technology, to demonstrate all that Church leaders wanted to see to become fully convinced. Parallax occurs during each revolution. 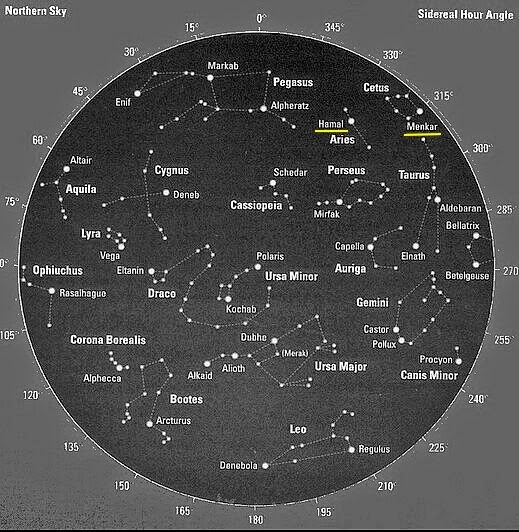 On one side of the sun (in July) stars appear in a certain position. On the other side of the sun (in January) the stars appear in differing locations. Nobody in Gaileo’s day understand that stars were billions of miles away. If the sun were at the center, the Church and most scholars argued, why didn’t the stars appear to shift, as you’d expect if the Earth rotated around the sun? So, partly because neither Galileo nor Copernicus could demonstrate parallax with stars — stellar parallax — the Church felt justified to retain the cosmology of Aristotle. This video shows that stellar parallax wasn’t properly understood till 1838 when Bessel made the first parallax measurements. “It is a good thing that the Church did not rush to embrace Galileo’s views, because it turned out that his ideas were not entirely correct, either. Galileo believed that the sun was not just the fixed center of the solar system but the fixed center of the universe. We now know that the sun is not the center of the universe and that it does move—it simply orbits the center of the galaxy rather than the earth. As more recent science has shown, both Galileo and his opponents were partly right and partly wrong. Galileo was right in asserting the mobility of the earth and wrong in asserting the immobility of the sun. His opponents were right in asserting the mobility of the sun and wrong in asserting the immobility of the earth. Those models failed the Scientific Method. Part of a model is to provide predictions on future observations. And a new model should provide better predictions that the current model. 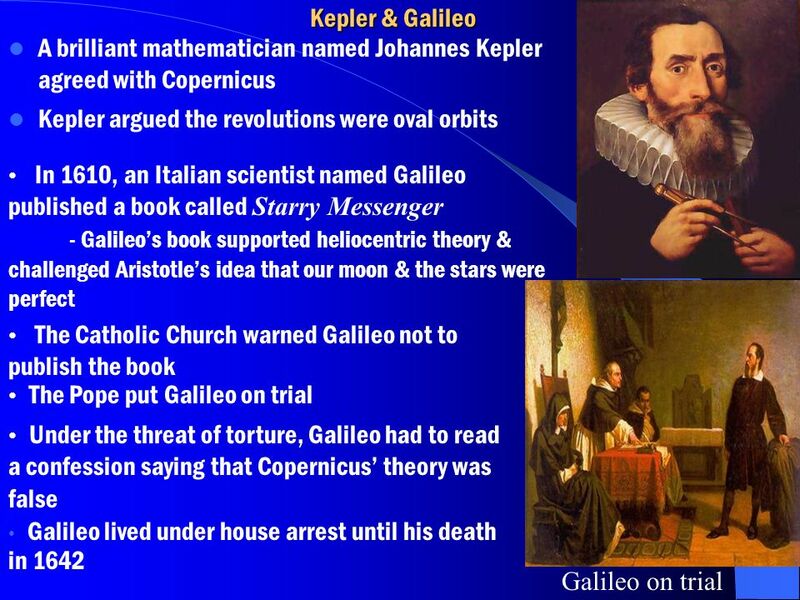 Copernicus and Galileo failed that test. They both portrayed the planetary orbits as perfect circles. As such the predictions of planetary events were even worse than the geocentric model. What Scientific journal today would even print any equivalently poor model, let alone claim that this new model is the only correct one. 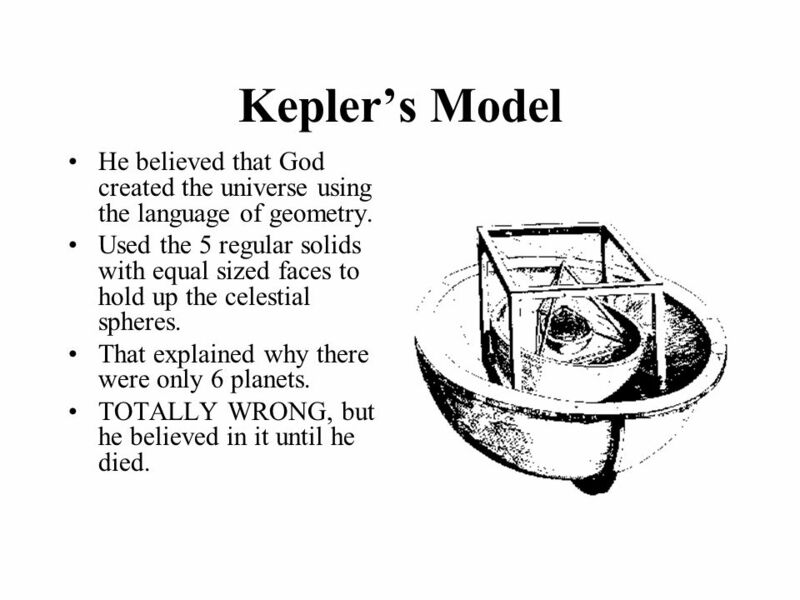 It wasn’t until Kepler came up with the elliptical model that the predictions equaled that of the current model, and Newton provided the explanation for why the elliptical model would be the true one. So yes, the Church acted correctly. Even down the extent that the Church had no problems with the heliocentric model, as long was it wasn’t presented as being definitive until it was proven by observational evidence to be so. Would any modern Science journal do anything different? BTW, Kepler, a Lutheran , was given a teaching position at the Catholic University of Prague and an appointment as court mathematician to the Catholic Emperor Rudolph II. Evidence for God and What about the “New” Atheists? Let’s start with this series of short, 5-minute videos from Prager University. 21 videos total are available in Prager’s Religion/Philosophy section. Consider subscribing to this YouTube channel. Dennis Mark Prager is an American conservative and nationally syndicated radio talk show host, columnist, author, and public speaker. He’s also a believing Jew. Of course, LDS people don’t share all specific beliefs with Dennis. However, we do have much in common. Including most of the following beliefs about God, evil, morality, free will, etc. Blake Ostler, an LDS attorney and philosopher, shares many of his insights relative to the nature of God in over 20 podcasts found here at “Exploring Mormon Thought”. One is linked below. Please review all his others. They’re awesome and insightful! Alvin Plantinga, perhaps the world’s leading religious philosopher, discusses the position that all religions can’t logically be simultaneously true. Alvin is not LDS. John Lennox articulates the differences between faiths, especially between the 3 major monotheistic religions. Judaism believes Jesus died, but didn’t rise. Islam believes Jesus didn’t die. And Christianity believes Jesus both died and rose. 1 of these 3 (or none) is correct. All 3 are not correct. Thoughtful Ravi discusses why he believes Christianity is the true faith. In my experience, the climate today with strident new atheists makes people who leave faith feel more supported, trendy, and smarter. It’s ridiculous, but seems to be the case. The atheists arguments are no different (and in many cases worse) than in C.S. Lewis’ day. Yet, most people have no idea. They usually haven’t gotten to the bottom of things till years into their journey at which time things look pretty bleak. Classical atheists were sad that God didn’t exist and owned that the outlook was completely miserable. New atheists are strangely glib and sometimes ecstatic in their claim that there’s no God. They seem to forget that — according to all previous atheists — life is bleak and meaningless in the absence of God. No ultimate meaning, despite finding meaning week to week in subjective and personal choices month to month. New atheism is a pop-cultural phenomenon. Richard Dawkins (perhaps the most famous atheist in the world today), outside the pop culture, is ridiculed by academics for his poor arguments and avoidance of past obstacles. But your cousin who left faith doesn’t understand any of this. He thinks he’s smarter than you, you dummie! I have an atheist/agnostic friend who used to be a full-on LDS-hating atheist. Now, after a few years of cooling down, kinda hopes for God, but still rails against the Church. He just can’t let go of his critical interpretations. Most (85%) of our doubts are emotional doubts. 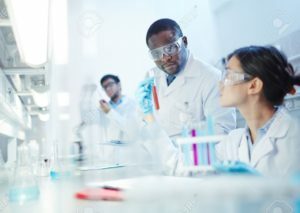 LDS critics often claim “all reputable” scientists or scholars say this or that in relation to the LDS Church. Broad, sweeping claims. 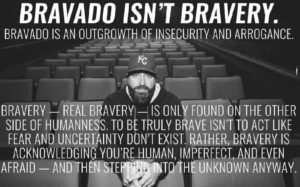 Often lots of bravado and bluster. Absolutely no evidence for this. Absolutely no evidence for that. Is it true? 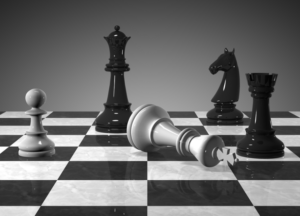 Science checkmated the LDS Church? How could it be true when more and more faithful Latter-day Saints are doing Science. The very Science the critics claim disproves the LDS Church. Science is simply a method to understand truth. Mormons are good geologists, statisticians, chemists, and are distinguished in every field of Science. How Mormons interpret data for their personal lives is unique. So is the way in which life-long agnostics interpret non-scientific data. Experiments on bacterial genetics, plant growth, and other topics won’t prove or disprove God. Won’t prove or disprove the Book of Abraham. Nor the Book of Mormon. Or a long list of issues. Science answers how. Faith answers why. To repeat, has Science check mated the LDS Church? Longer summary: evaluate each specific critical claim in context. When all relevant data is on the table “all scientists” don’t tend to agree and/or the argument is often itself flawed with biases. Let’s first consider what “all scientists” believe. 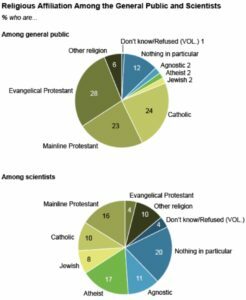 Scientists, like most academics, tend to be very secular. Many, many non-believers. Do non-believers believe in the Book of Mormon? Moreover, the individual critic frequently herself lacks a fundamental understanding of Science and how exactly Science would perform an experiment to unequivocally illuminate the question under discussion. To unequivocally prove the LDS Church, the Book of Mormon, or other topic is obviously false — contrary to many critics’ belief system — turns out to be quite challenging. In fact, it’s impossible. For example, a critic might say that no self-respecting scientist believes major battles with steel swords and wheeled, horse-driven chariots took place in Palmyra, NY around 400 AD. And further, no archaeologists have found lots of steel blades, metal armor, and wheels in the ground. Book of Mormon defeated in a single swipe? Nope! This is an example of a straw man. I and every LDS scientist would agree. Yet, there’s more nuance to this situation than you may initially appreciate. 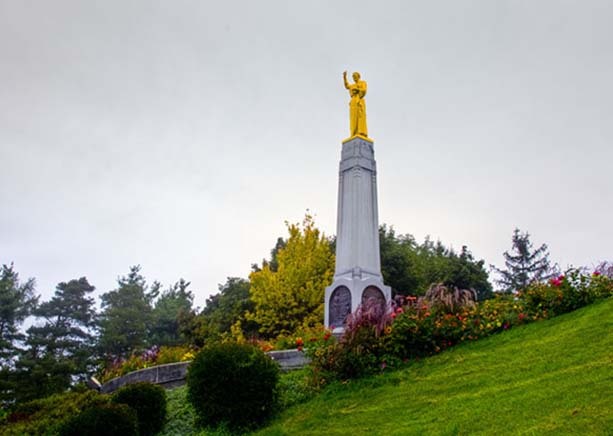 1) Joseph never called the hill near his home the Hill Cumorah. That belief — that the hill where Joseph got the plates was the same site as the final Nephite battle — sprung up long after Joseph Smith passed away, as folks hypothesized where the Book of Mormon took place. It didn’t help that well-meaning Church leaders latched onto the idea. The final Nephite and Jaredite battles likely happened in Mesoamerica — near where the entire narrative occurred. 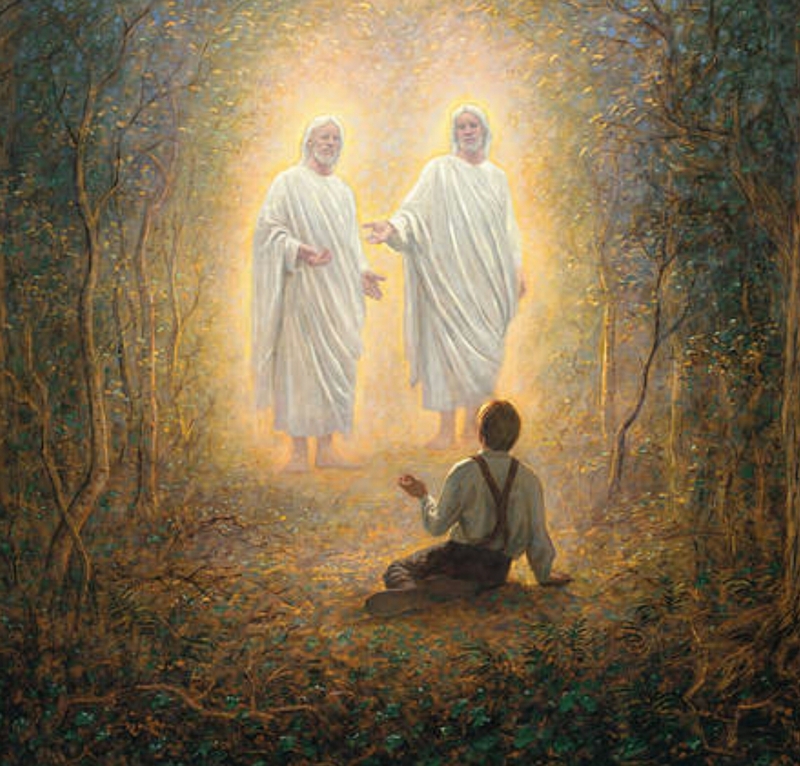 Moroni wandered northward for decades. 36 years total. A trek from Mesoamerica to NY can be accomplished by a fit person in around a year. 2) Nephi mentioned the fine steel of his bow and the Sword of Laban. Both of these could have been made with technology of the time. The Book of Mormon text doesn’t otherwise mention steel swords. Dr. Wade Miller discusses iron, steel, swords, the Bible, and the Book of Mormon. 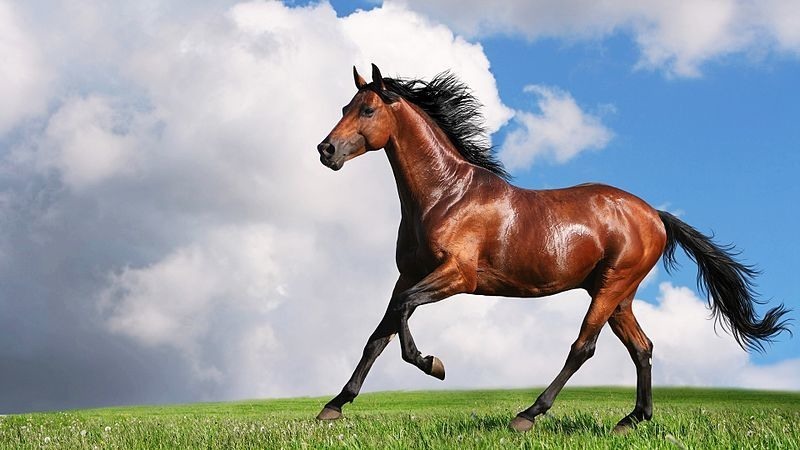 3) The Book of Mormon mentions chariots, but doesn’t indicate horses led those chariots. These “chariots” could have just have easily been smaller animals or people pulling a litter on which rested a leader. Lots on horses and the Book of Mormon here. 4) No archaeologists have excavated the Hill Cumorah. Farmers have plowed the field, but no organized excavations have been undertaken. I’d be suprised if anything were found, but the point still remains that nobody has done the research to rule out presence of metal Nephite objects. So, when aspecific example is given by critics — and not simply exaggerated generalizations — the Book of Mormon typically stands on reliable evidence. Sure, questions still exist, but critics’ sweeping claims are nearly always uninformed and imprecise. The same thing applies with claims toward the Lehites and DNA. When one looks at all the evidence — and not simply listens to critics’ absolute and usually unsupported statements — the picture becomes clearer. Watch Ugo Perego and Michael Whiting dispel common misconceptions. These two scientists are leaders in the field of genetics, and see no conflict between their science and the Book of Mormon narrative. A larger point should be emphasized: how does one prove the Book of Mormon? How does one disprove the Book of Mormon? I’ll argue one can do neither. To say there’s not a shred of evidence for the Book of Mormon historicity is a mischaracterization. Haven’t we — that is, LDS and non-LDS scholars — found things in Mesoamerica and elsewhere that are in sync with the narrative of the Book of Mormon? Yep! Critics used to say say steel wasn’t known till 100s of years after Lehi. And they mocked Joseph and the Book of Mormon for that. That’s clearly no longer believed. We could list item after Book of Mormon item (silk, swine, iron, etc) that is no longer a mismatch or an anachromism. Surely, not everything matches and much work remains. But to say there’s no evidence is untrue. To prove or disprove is not possible. To find supporting evidence is possible and is under way. A complete fraud wouldn’t be expected to get so many matches. LDS scientists are the ones (no surprise!) who are interested in finding support for the Book of Mormon. Other scientists typically don’t care or are perhaps mildly opposed to such ventures and findings. Again, no surprise. 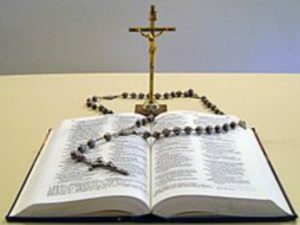 Do atheist, Catholic, evangelical, or other scholars, who find wheat (or other disputed item in the Book of Mormon) in Guatemala, refuse to admit wheat was in the area? No. They’re scholars doing scholarly work. They publish their findings, regardless of implication. Does finding wheat in Mexico change non-Mormon opinion of the LDS Church? The Book of Mormon? Probably not in the least. Does wheat in Guatemala (if found) absolutely prove the Book of Mormon? No. Evidence for? Absolutely. So, let’s allow scientists — Mormon and non-Mormon — to do their jobs: Science. And publish all findings. The truth will take care of itself. I expect more and more evidence will be uncovered to support the Book of Mormon. Science doesn’t answer big questions. The why questions. Life on this planet in a rare event. That the universe to exist at all is amazing. The four forces. 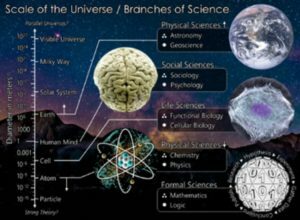 These issues of fine tuning of all variables in our universe — varying any one of which would throw life and the Universe out of existence — provides credibility that God exists in and created the Universe. 1. The natural world is all there is. This claim is consistent logically equivalent to atheism. One can’t logically prove atheism or that the natural world is all there is. How could one prove that there is nothing beyond the natural world, when all they can study is the natural world (and nothing more)? The only way the naturalists could hold this claim #1 is by faith. But then the naturalists would contradict claim #2. Indeed, claim #1 is internally incoherent. 2. We should only believe what can be scientifically proven. This second point is far too narrow. In fact, we accept many intuitive truths that can’t be proven. 1) Ethics: can’t prove good and evil. 2) Esthetics: can’t prove beauty. 3) Metaphysics: the reality of the past. 4) Science itself has unproveable assumptions: Special Theory of Relativity, one-way velocity of light is assumed to be constant. 5) Mathematics and logic truths: Science presupposes logic and math. Even statement #2 itself can’t be proven scientifically. Statement #2 is an opinion or statement of philosophy. #2 is self-refuting and cannot be true. 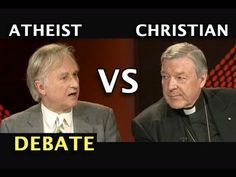 John Lennox (see video below) has debated the biggest names among today’s atheists. Christians should have an evidence base for belief in Christ. John told us of Jesus’ actions so that we might believe. 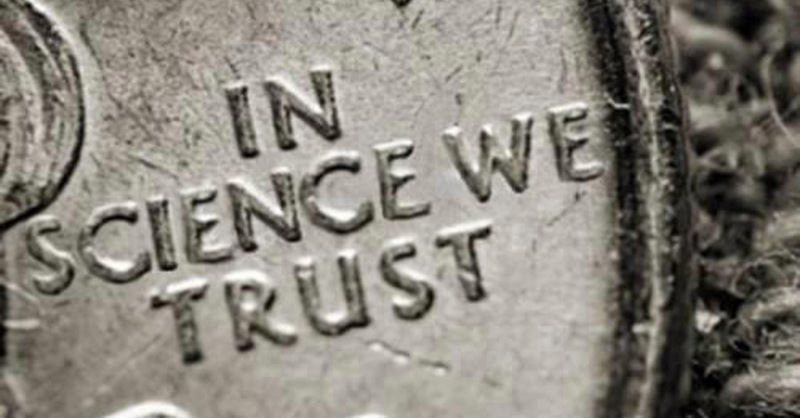 1) Belief in Christianity is based in evidence — not blind faith. Review John 20: 30-31 again. 3) Dawkins believes in or has faith in stuff, including his wife. Evidence-based faith is still faith. 4) Traditional Christians don’t believe God was created (Mormons theology involves progression). Dawkins constantly teases, “Who created your Creator?” Lennox says nobody. Dawkins believes the Universe created him. So, Lennox asked Dawkins, “Who created your (Dawkins’) creator?” Still waiting for an answer. 1) We don’t believe in the God of the Gaps. To say you don’t believe in God, but rather you believe in Science is analogous to saying you don’t believe in Henry Ford, but instead you believe in the laws of internal combustion. The God explanation is not the same as the Science explanation. You, obviously, should believe in both. Why is the kettle boiling? There are 2 explanations: a scientific one about molecules. And a personal agent explanation: it’s boiling because I want a cup of tea. 3) The Law of Gravity describes gravity, but descriptive laws do not create anything. Ever. We don’t even know what what gravity is. However, Steven Hawking and other secular scientists would have you believe laws daily create matter and the entire Universe. Not true. 4) God created the world good. God could have created a perfect world, but none of us would have been in it. A world without hate will have no love. 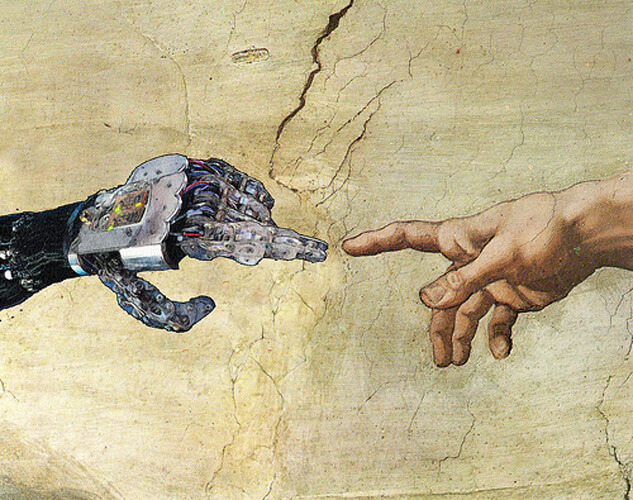 Robotic worlds lack sin and many other problems, but they have no humans. Bringing humans into the world is a risky business. God’s children can grow up and say no. Just like our kids. Another discussion with John Lennox on faith and reason. Faith of believers. Faith of atheists. What is the evidence? What of blind faith? Bill Whittle and Andrew Klavan (Christian, former Jew) discuss the limits of Science and atheism. Science is not a philosophy. It’s not a world view. It’s a method. It’s a series of questions, processes, and procedures to isolate variables and extract something out of nature. Scientism or Trans-science: popularized by the new atheists, such as Harris, Hitchens, Dawkins, and Dennett. An arrogant belief in objectivism — won’t believe anything other than Science — that itself becomes a religion. What of Philosophy, Art, Ethics, and other obvious truths we can’t prove? We can’t understand infinity or eternity. We simply lack the neurons. Worth 12 minutes of your time. 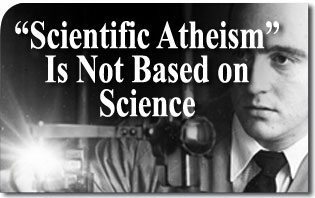 Scientism is not Science. It’s a theory. It’s a philosophy. The statement itself — one should only believe in what can be scientifically proven — is self-refuting. One can’t prove one should believe this. It’s a philosophy statement or belief — not something that itself can be proven. 1) Ethics: can’t prove good and evil. 2) Esthetics: can’t prove beauty. 3) Metaphysics: the reality of the past. 4) Science itself has unprovable assumptions: Special Theory of Relativity, one-way velocity of light is assumed to be constant. 5) Mathematics and logic truths: Science presupposes logic and math. Fun interchange. William Lane Craig (on the left) is a skilled debater. Too bad he’s not LDS. 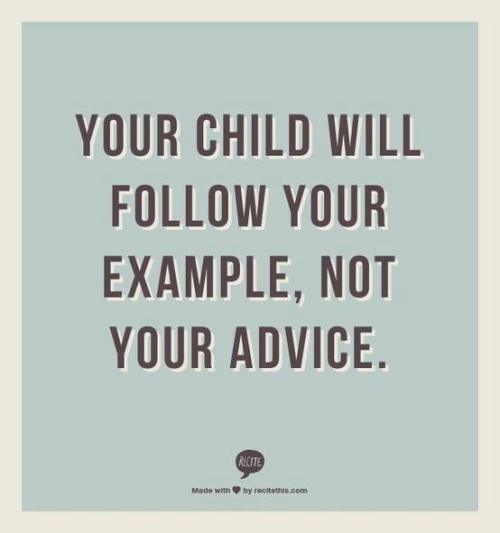 Another gem by WLC on God. Now, I don’t agree with all of Craig’s arguments, but the discussion is wonderful. Science & Mormonism: Cosmos, Earth, & Man conference held on November 9, 2013, in Provo, Utah. No, DNA evidence doesn’t (and cannot) refute the authenticity of the Book of Mormon. This is worth watching! Michael Frank Whiting is the director of the Brigham Young University (BYU) DNA Sequencing Center and an associate professor in BYU’s Department of Integrative Biology. Whiting received his bachelor’s degree from BYU and his Ph.D. from Cornell University. Dr. Whiting is a widely respected expert on DNA and genetics. Dr Ugo Perego, a respected population geneticist, speaks at the FairMormon Conference in Kungsbacka, Sweden, 18 June 2016. Ugo is a world expert on DNA and Native Americans. How Can A Scientist Believe Jesus is God? You could just as easily ask “How can any thinking person believe in God”? Atheists and critics ask this question all the time. It’s interesting that we know so little about such basic things. The brightest scientists can’t explain what energy is. Or consciousness. Or many other things. We should be very humble as we learn line upon line. John Lennox is a very articulate Protestant from Northern Ireland who’s ably defended Christianity against Richard Dawkins and other new atheists. I don’t agree w/ Lennox on the Trinity, but do on so many other counts. I’m grateful for his brilliant mind and love for Jesus.